Digital Extremes gives Warframe's Plains of Eidolon a major upgrade. 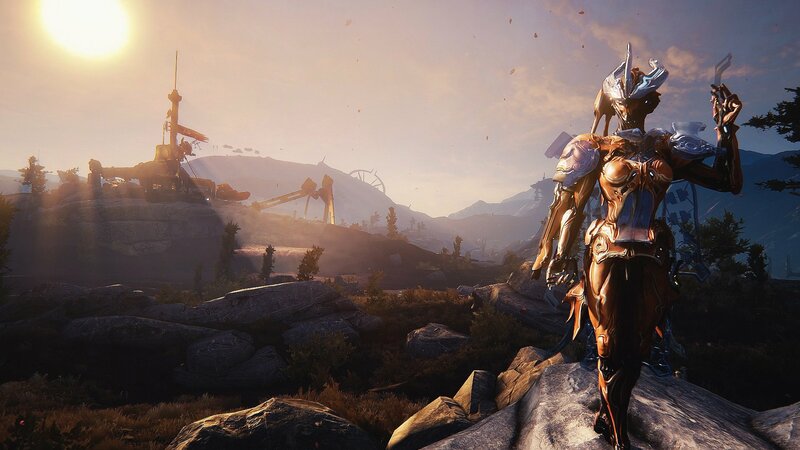 Missed out on Warframe's first open-world add-on Plains of Eidolon? Don't sweat it. Developer Digital Extremes is giving it a full graphical overhaul. Now available on Steam for PC users, the Plains of Eidolon expansion has new graphical technology that makes Warframe's open-world expanse look better than ever before. Upgraded to look much the same as the game's Fortuna expansion, it will now include dynamic lighting, textures, and atmosphere as well as resurfaced terrain for better K-Drive Hoverboard action. It also comes with conservation and a new Grineer enemy called Tusk Thumpers. The free remaster takes every visual aspect of the game and enhances it in meaningful ways. The open world will get new, advanced lighting techniques, and additional texture details to the leafy landscapes in-game. As far as the K-Drive, players will be able to grind on and jump off plenty of new terrain. There's even a new badge that players can earn for hunting and conserving three new animals on the Plains, which was only available in Fortuna before. There are also new, special Floors to decorate Orbiters with. All of this is available now for PC players. There's no word on when this will be coming to consoles just yet, but a better look would certainly be appreciated by other Warframe players, we feel absolutely certain. All Digital Extremes had to announce for now was "soon," so while we don't know when, take comfort in the fact that it's still coming. In the meantime, there are plenty of other areas to explore in-game that already look excellent, like the Fortuna areas. Have you been playing Warframe? Let us know how you've been finding it. Here's my take on this game: Run down a looong corridor...and then run back. Repeat.